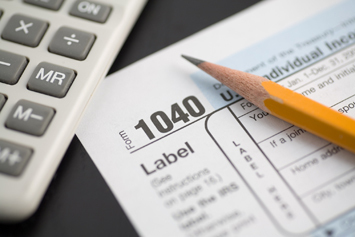 Due to a holiday in DC, the federal tax filing deadline was moved up a day, to April 17. Oh joy. Unlike most states, Virginia didn’t move its deadline for returns that are due normally on April 15. (Don’t panic – that’s not for individual returns. Those are due May 1.) I’d say this is a big “oops” on the part of our legislature. Guess they were too busy on other, more important things, like the ultrasound bill. In any event, the worst tax season of my 26-year career in public accounting is coming to a close. And it can’t get here fast enough. Previous Post UPDATED: What could go wrong? Hard to believe there are people who haven’t done this yet. Especially now that online filing makes it so easy. But I guess it’s better for accountants that there are still people who are intimidated by doing their own taxes. It’s no longer a matter of intimidation; rather, unless all you have is a W-2 and a mortgage interest statement, it’s nearly impossible. I’ve always filed my own, even when I was running my own business. I actually did go to Bloc once because I came out owing a lot when I figured them. They came up with the same thing. Um, Steve. You do know there’s a difference between what I do and what H&R Block does, right?